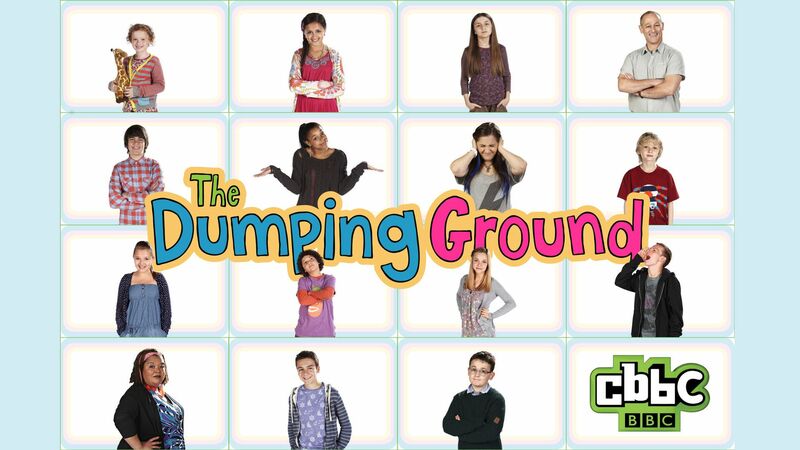 Here's where to watch every episode of The Dumping Ground season 5. Mouseover or tap an episode to see where to stream it. Click or tap the play icon to stream it on the best available service. Back in the Game Part 1 Jan 20, 2017 Dexter is in deep trouble. Can Bailey and Sasha find a way to help him out? Bailey faces a life-changing choice and the Dumping Ground discover first impressions do matter when they meet the neighbours from hell. Back in the Game Part 2 Jan 20, 2017 Dexter is in deep trouble. Can Bailey and Sasha find a way to help him out? Bailey faces a life-changing choice and the Dumping Ground discover first impressions do matter when they meet the neighbours from hell. One Giant Leap Jan 27, 2017 Sasha and Bailey ally to save Dexter. Bailey is given a life-changing choice. The Fairytale Princess Feb 3, 2017 Chloe meets the girly Candi-Rose, but is their friendship doomed to fail? Kazima's charity cake bake is dealt a blow by downtrodden neighbour Edward. Sittin' in a Tree Feb 10, 2017 Shocked to find most of the YP think she and Tyler are a couple, Jody sets out to find Tyler a girlfriend, someone he can take to the upcoming Kids in Care dinner. They meet Sophie at a local skate park, but Tyler panics and doesn't leave a good impression. After some advice and encouragement from Candi-Rose and Jody, Tyler returns and gets her phone number. With doubts and jealousy creeping into Jody's head about her true feelings for Tyler, she smudges the phone number on Tyler's hand. With the blame pointed at Jody, tensions rise between her and Tyler... Meanwhile, Archie falls and hurts his hand while racing around the garden. Coming to his rescue with a plaster, May-Li provides a comforting word. With newfound admiration for May-Li, Archie sets about to impressing her by helping in the garden - only to be thwarted by Toni and Ryan. When he misses out on a trip to the garden centre with May-Li, Archie gets angry and destroys part of the garden. Faking it Feb 17, 2017 A moment in the limelight beckons for Floss when she wins a part in a commercial. However, acting with her on-screen mother scares her and stage fright sets in. The YP begin to pressure Mike into wanting to use their birthday money now rather than wait. Mike isn't keen to comply so instead sets a Dragons' Den-style challenge to propose ideas to invest, with him and Finn acting as dragons. Sasha Bellman P.I. Feb 24, 2017 Sasha turns P.I. when a parcel disappears but the quest for justice uncovers unpleasant truths. Belief Mar 3, 2017 Kazima's kindness is put to the test when she meets a troubled homeless teenager. After a bump to the head, Floss believes she has magical powers. Vox Populi Mar 10, 2017 Tyler discovers his dreams don't match reality when he has a work experience day at a radio station. Hoping to uncover crime, Tyler finds he's nothing more than an office dogsbody. But his nagging wins out and he plunges into a murky world of dodgy developers, bullying and broken gnomes, but he learns a harsh lesson not to jump to judgement about a story before he hears both sides. Back at Ashdene Ridge, Finn has an encounter with a 'hobgoblin' and Chloe unwittingly puts herself forward to speak at a local meeting to save the skate park. Her opposition? The DG's nightmare neighbour, Mr Umbleby. Free Mar 17, 2017 Kazima is shocked when Alex returns desperate for help. Kazima's reluctant to help at first sees that George is ill so she agrees to take him in and hides him in the attic. The Wardrobe Mar 24, 2017 Kazima, Ryan, and Joseph are tasked with staying behind to exchange an old wardrobe for a new one. When the wardrobe is delivered, they soon get more than they bargained for. Farvel Mar 31, 2017 Kazima gets news from her father in Denmark - he's living there and wants Kazima to join him. The decision is easy for Kazima to make as she enthusiastically prepares to leave.